The couple really hit the jackpot when the first snow of the season fell in the very beginning of their ceremony. 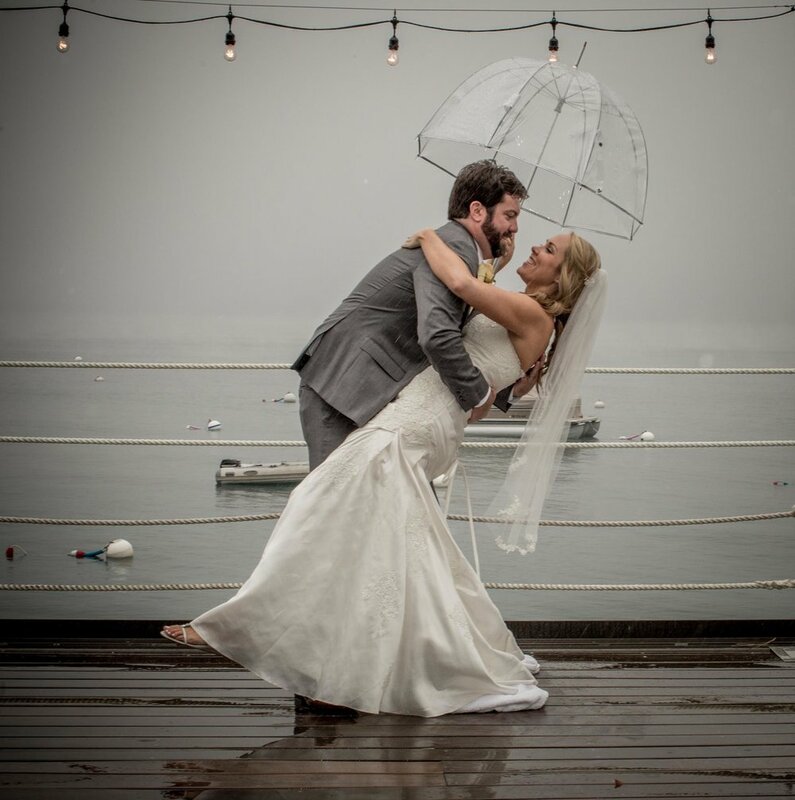 The bride and her father were getting cozy under the umbrella on their way to the altar! Many warm bodies in the tent made the temperatures inside pleasant, even though outside was literally FREEZING. The lake continued its moody pattern as the guests chatted and laughed. Karl and Laura, unfazed by snow and rain graciously stood in the elements while I took very unique Tahoe photos. It was a moody, whiteout type of photoshoot, with the bride shaking and smiling at the same time. Look closely - you cannot tell that she is actually freezing. As the night went on the speeches got funnier and funnier and the dance moves got more radical. There was no shortage of hugs and fun!